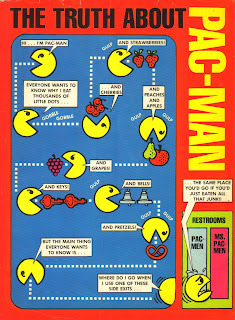 While going through some old humor mags the other day, my son found this Pac-Man strip in an early '80s issue of Cracked. We thought it was pretty darned amusing. Just click on the image to get a closer look at it. I am playing it more often on my PS2 (classic game collection from Namco). It seems harder on this one than the arcade. As annoying as the game can be, it is equally addictive. Video Game Trader #6 Now Available! Now shopping at...Lone Star Comics!